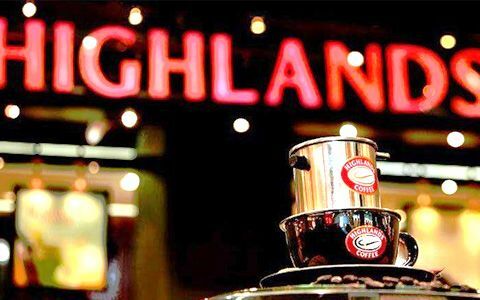 Highlands Coffee proudly is a leading Vietnamese coffee brand leading with delicious products, reasonable prices and coffee experience anytime, anywhere. Highlands Coffee is born of the endless passion for Vietnamese coffee beans. Starting with the packaged coffee product in Hanoi in 2000, we have rapidly grown and expanded into a well-known coffee house brand and have been continuously expanding our domestic and overseas operations since 2002. After a long journey, we have not stopped bringing good coffee products, in a comfortable and courteous atmosphere. Our cup of coffee is not just a familiar drink, but also a cultural mission that reflects a modern lifestyle of the Vietnamese. Up to now, Highlands Coffee has maintained the sorting of coffee by hand to select the best quality coffee beans, roasted every day and serve you with a smile on the lips. The secret of our success is this: great bar space, excellent products, and thoughtful service at a reasonable price.